A surefire way to get rid of mice is to make sure your home is not filled with their favorite things. Doing so can be tricky since mice like a lot of the same things as people. Having a few things in common with these tiny home invaders doesn’t mean you have to live with them, though. 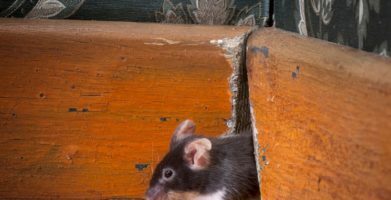 Find out what kinds of things mice don’t like (and some of what they do) and how you can use that information to keep mice outside where they belong. Mice are motivated by survival instincts, meaning they will do whatever they can to find food, water and shelter. However, like people, mice have preferences; there are some things mice love and some things mice hate. The common house mouse is small, furry, has a pointed nose, big ears, and a tail. Mice can live up to two years in captivity, but typically lead shorter lives in the wild. They can reproduce when they are just two months old. A female mouse can give birth to a litter of mice every 6-8 weeks, and each litter can consist of 2-12 mice. Now that you know more about mice, you’ll be able to understand what kinds of things they like and what they would prefer to avoid. Although mice aren’t exclusively nocturnal, they tend to be more active at night for a few reasons. Survival instincts cause mice to avoid larger animals, and being active at night helps mice avoid being seen by predators, as well as avoid contact with people. Because mice avoid danger, they may scared off by loud noises or bright, flashing lights as well. 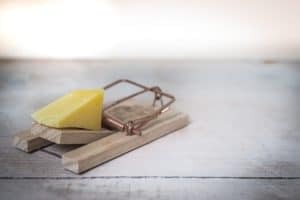 Another way mice avoid danger is by relying on their senses. House mice have poor eyesight, but a keen sense of smell. Rodents rely on their sense of smell to find food, detect danger and to follow scent trails as a way of navigation. Contrary to what cartoons may have led you to believe, mice don’t actually like cheese. If you think about it, you’ll realize that cheese is quite stinky. Some smells repel mice. The scent of another animal, such as a cat may repel mice. Even the scent of another mouse may alert a rodent to avoid an unfriendly neighbor. Plants and trees have understood this for a long time, using fragrances to attract helpful insects like bees and repel pests. 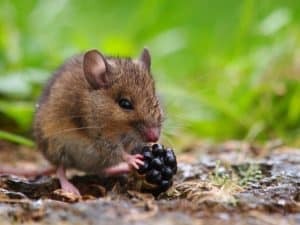 In favorable conditions, such as spring and summer when the weather is warm, and food is abundant, mice will live outdoors because nature can satisfy all their needs. 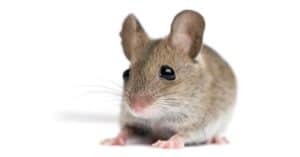 When the temperature drops during fall and winter, mice look for shelter in homes, garages, farm buildings, stored vehicles and other places that offer protection from the elements. Mice are omnivores and can eat almost anything. Fruit, seeds and grains are a mouse’s favorite foods. Outdoors, gardens, farm fields, and places where people leave food scraps behind are the best places to find mice. Indoors, mice will be attracted to food pantries, uncovered garbage cans, stored seeds and pet or animal food. Mice like to eat 15-20 times each day. Because mice eat so frequently, they like to make their homes and nest near a reliable food source. Rodents also find pleasure in chewing wiring, and research has found that 8% of all household fires are caused this way. Some materials mice might gnaw on include books, magazines, wood, cardboard, or plastic. When moving around, mice enjoy following ‘runways.’ You might see them running alongside the back of a couch, a row of boxes, or next to the mop boards and walls. If you are worried about a mouse in the house, you can do a quick inventory around your house to make sure you aren’t attracting rodents. Cleaning up the materials mice use for nesting and gnawing, as well as any cluttered areas where they may find shelter will reduce the chances of an infestation. Storing food in air-tight containers and using garbage cans with a fitted lid will prevent mice too. For more information about how to prevent mice, and how you can use a scent-based repellent to protect your home, click below. Another way mice avoid danger is by relying on their senses. House mice have poor eyesight, but a keen sense of smell. Rodents rely on their sense of smell to find food, detect danger and to follow scent trails as a way of navigation. Plants and trees have understood this for a long time, using fragrances to attract helpful insects like bees and repel pests. Mice like to eat 15-20 times each day. Because mice eat so frequently, they like to make their homes and nest near a reliable food source. Rodents also find pleasure in chewing wiring, and research has found that 8% of all household fires are caused this way. Some materials mice might gnaw on include books, magazines, wood, cardboard, or plastic. When moving around, mice enjoy following ‘runways.’ You might see them running alongside the back of a couch, a row of boxes, or next to the mop boards and walls. 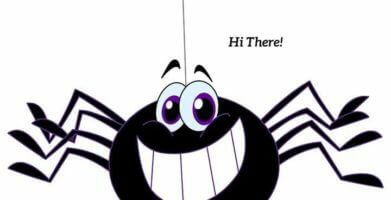 string(52) "Things Mice Don’t Like - What Scares & Repels Them"